We all use Books Online these days when we need to look at the SQL Server documentation. 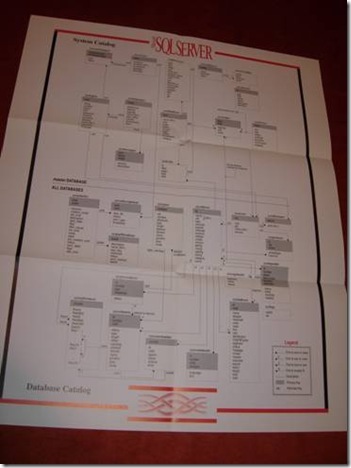 But does anybody remember using any SQL Server printed documentation? 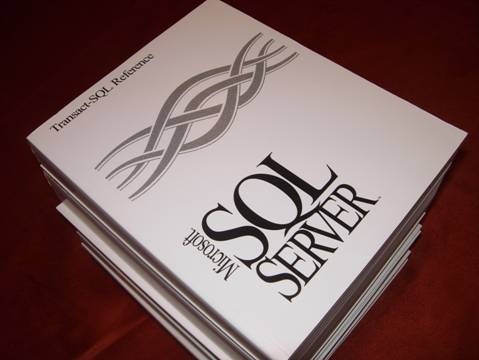 I was introduced to SQL Server back in February 22, 1999. Yes, I know the exact date because it was my first day attending the Microsoft training “System Administration for SQL Server 6.5” and I still have the diploma. SQL Server 7.0 was already out but somehow the offered training was not yet updated. A few years later when I was already working with SQL Server 2000, I found the printed documentation set from the SQL Server 6.0 days but I never really used it. 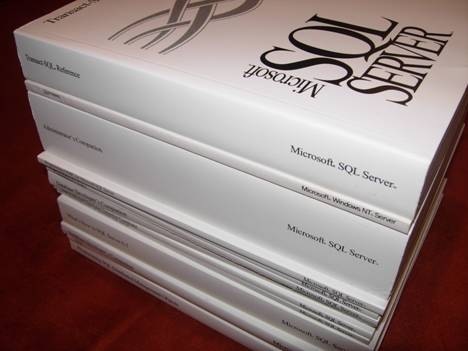 I am not sure which SQL Server version was the last one to include the printed documentation. Was it SQL Server 7.0? Perhaps somebody reading this can confirm it or comment about it. 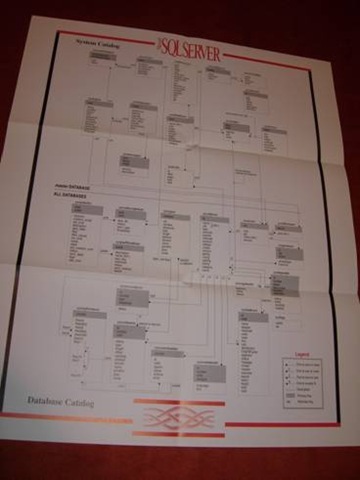 The documentation even has a poster with the system catalog which shows only 13 system tables for the master database and 17 system tables for user databases.